ONCHAN, Isle of Man – July 20, 2016 – Jason Mercier has established an insurmountable lead in the 2016 World Series of Poker Player of the Year award, cementing his status as one of the best tournament poker players in the world. This award comes just weeks after a runner-up finish in the Spring Championship of Online Poker (SCOOP) Overall Leaderboard in May on PokerStars, an Amaya Inc. (Nasdaq: AYA; TSX: AYA) brand. The two achievements are a remarkable result for this member of Team PokerStars Pro who has demonstrated versatility at all forms of poker – both online and live. “I am honoured to receive this award. There are so many tough players that every year have a great shot of winning this title, and I’m fortunate to have been able to have a successful summer at the tables and come out on top. I played almost every single event of SCOOP in May, which was in hindsight the perfect preparation for a tough summer of poker,” said Jason Mercier. Daniel Negreanu, fellow member of Team PokerStars Pro and two-time WSOP player of the year winner, said, “The Player of the Year race is a very special honor and no one is more deserving than Jason for his accomplishments in 2016. What a run he had playing against the world’s best and consistently putting up results. A great player who is highly skilled in every form of poker. Very happy for him." 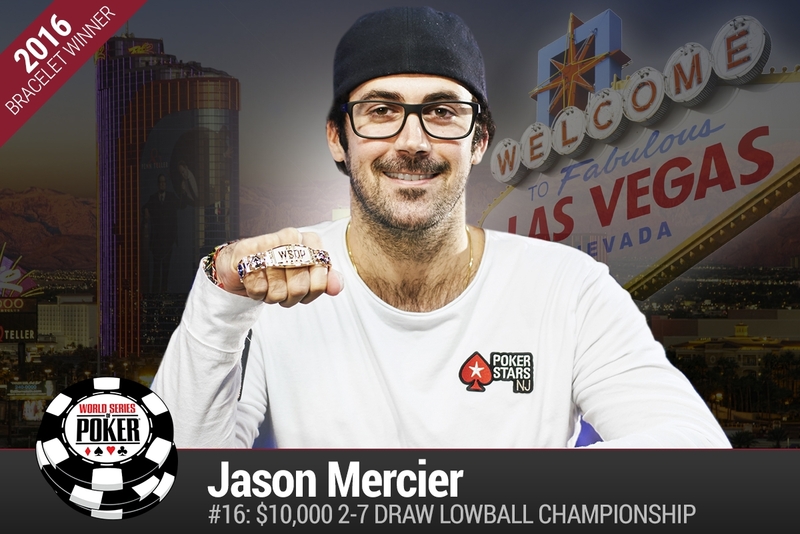 At the World Series of Poker this year, Mercier has had a remarkable run, with two victories, one second place, and one eighth place, for a total of four final tables among 11 cashes. 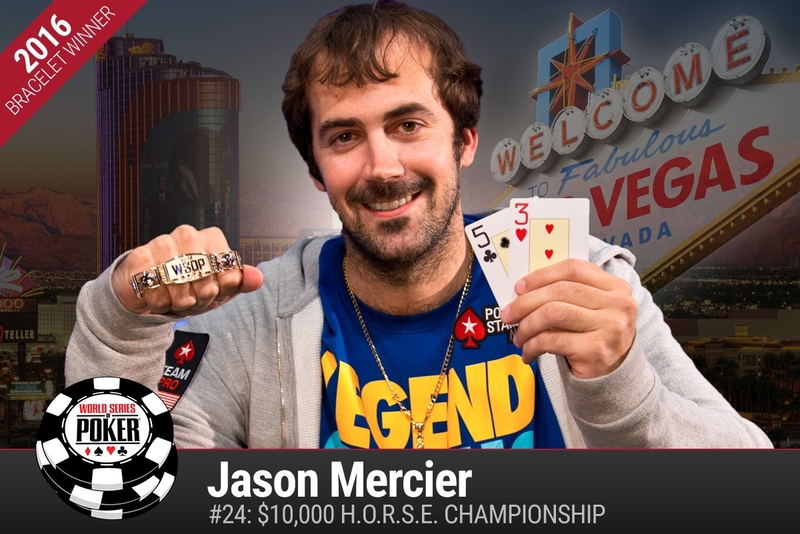 In addition to collecting bracelets for himself at the WSOP, Jason Mercier also gave away a ring at a WSOP final table as he proposed to his girlfriend Natasha Barbour. Barbour made the final table of the $5,000 No Limit Hold’em event, and after she was eliminated in third place, Mercier proposed to her. She said, “Yes,” rounding out a summer of success for Jason, both on and off the table.